Call to mind the riches of the garden in this wine- colored sweater. 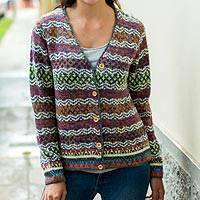 This stylish tunic is designed by Peruvian artisan Fernando Cano. 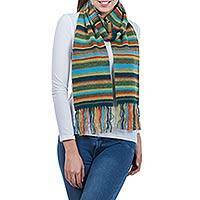 The colorful knit sleeves are patterned in a swirling, floral-inspired design. 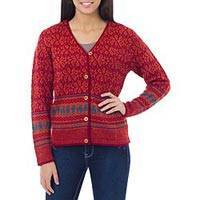 The sweater's longer length makes it perfect for pairing with jeans or leggings. 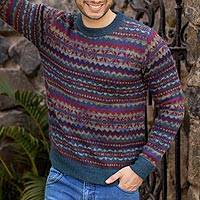 Embrace the spirit of the Andes in this casual and comfortable pullover sweater.